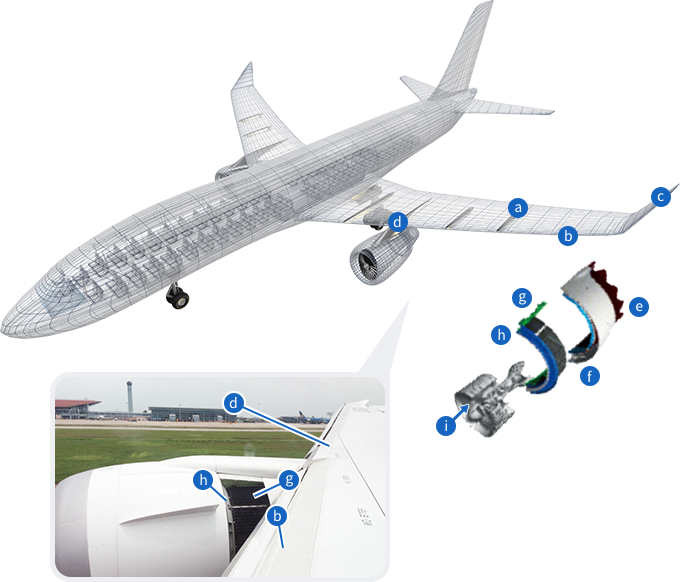 Product Lineup | Aerospace | Products and Services | NIKKISO CO., LTD.
Nikkiso Aerospace, produces and supplies various parts and components utilized for jet engine, nacelle, and the wings for aircraft, using CFRP (carbon fiber reinforced plastic). Nikkiso manufactures components for wings & engine nacelle parts mainly using carbon fiber reinforced plastic (CFRP), and also some assembly with metallic parts. Parts for space and satellites are also an area where high quality standard is required. Specific materials are used to withstand the environment in space with severe temperature variations and a vacuum state.